The Audi R8 needs no introduction. After all, it's the ride that even Iron Man want in his garage. But this brand new Audi R8 'LMX edition' is not just another upgrade on the classic, but this limited edition model oozes more oomph and muscle with new laser headlamps and a bit more horses under the hood. Besides how cool the headlamps look, laser beam lighting combined with LEDs offer higher range of visibility upto 500 metres in front of the car. This is twice the range of the all-LED headlights. The lights are activated at a speed of 60 kilometres per hour and come fitted with an intelligent camera based sensor system to detect the road conditions ahead. The new BMW i8 too boasts of similar laser headlamps but Audi managed to steal their thunder with an earlier, possibly intentional, launch of its LMX model in India. 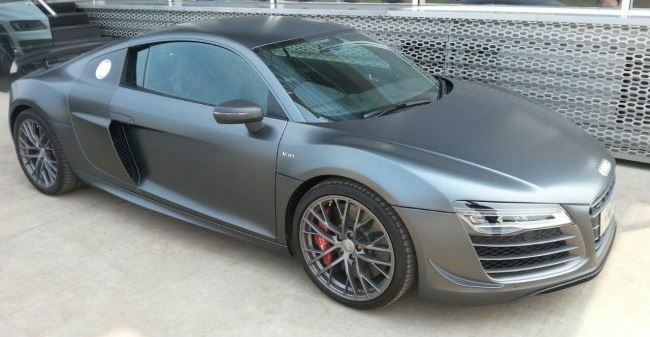 First thing that strikes you about the design of R8 is amount of carbon fiber used in the body, you see a lot of it on the bumper, on the rear view mirrors, as well as on the sides. But the big difference for me is in the nice little spoiler that looks extremely sleek but this is not retractable one that you will find on V10 Plus. On the inside you see lots of carbon fiber used all over the cabin, right from the center console to the door handles. Other familiar R8 interiors do get a touch of added appeal with the bucket leather seats getting the diamond pattern stitching in blue. Add to that, the black Alcantara roof and black leather door trim panels blend in well. So the cabin does everything to keep you comfortable as the supercar takes off. And take off we did with the V10 engine roaring away to 3 digits in no time. 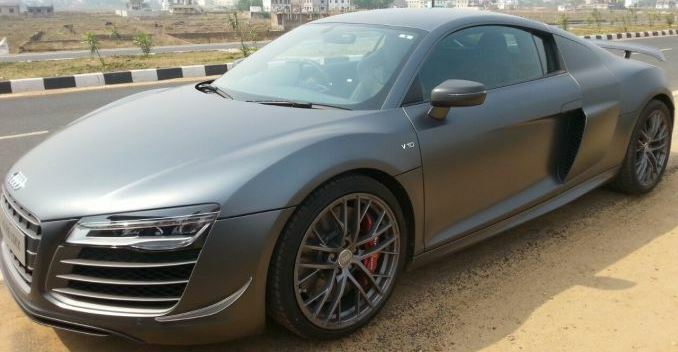 After all this is the most powerful R8 in the market capable of 0-100 is just 3.4 seconds and a top speed of 320 kilometres per hour. No, we didn't close anywhere close to that mark but we did push it as hard as we could. Every time you begin to drive a supercar, you almost expect to be blown away with the sheer power on offer but the R8 LMX makes you quite comfortable even as you step on the gas on the open road. The power delivery is very smooth but make no mistake this is still quite a speed monster. And if you really want to hear the V10 engine growl, just go to sports mode and rev it.... aaaah music to my ears. The 5.2 litre V10 engine belts out 570 horsepower and 540 NM in peak torque. The 7-speed S-tronic gearbox is quick and shifts quicker in sports mode and transfers the power to the quattro permanent all wheel drive system. Going at these terrifying speeds is less unnerving as the carbon fibre ceramic brakes work well and confidently on the 19-inch wheels. With the steering feel quite positive, the R8 LMX enjoys going around around corners or wide turns and supercar feels well balanced. But grit your teeth as you go over unpaved roads as the suspension just isn't meant for them. 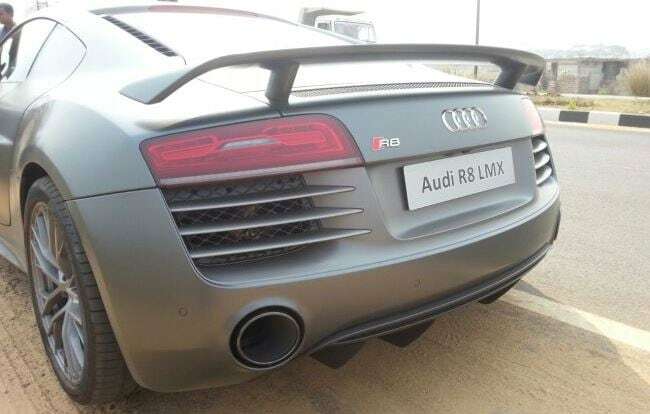 Now the Audi R8 LMX is a limited edition model really with only 99 cars being produced globally, but if you are one among the 99 owners of these car, you will get an embossing on the door sill, which will tell you on which number you are on that 99, elite list really. Audi expects 3 to 5 cars will be sold of this model here in India and one of the recent buyers include cricketer Virat Kohli. The LMX is considered as a fitting tribute to the previous generation model which was quite a legend. 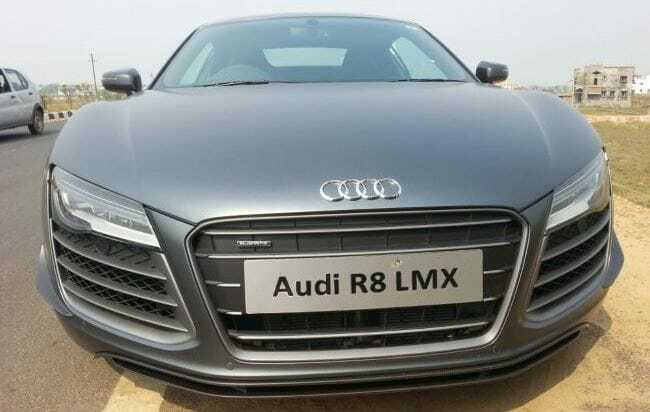 The Audi R8 LMX is priced at ₹ 2.97 crore (ex-showroom, Delhi) over ₹ 50,000 more than the V10 plus. 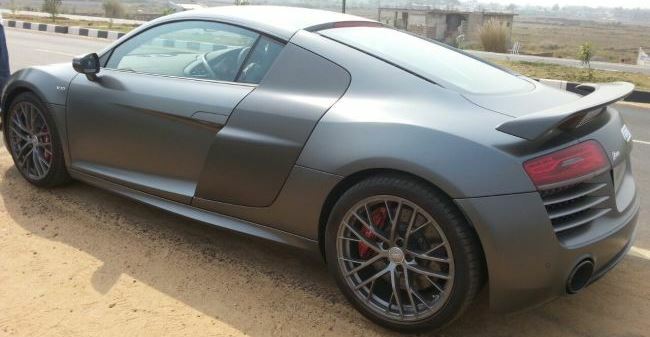 So while we wait for the new R8 to come to our shores, the LMX will keep us drooling.